As the seasons change and cold weather comes to the northeast, pet owners need to start thinking about things like temperature and extra UV lighting, especially when it comes to exotic and pocket pets in Fall River and the surrounding area. Winter tips for small pets should always be welcomed, as there are many experienced pet owners and veterinarians who can provide helpful advice to keep pets safe all year-round. Vet care for cats and dogs can be quite different from say, Guinea pig care and feeding, which requires more attention to habitat, temperature, bedding and even nutritional changes when winter comes around. 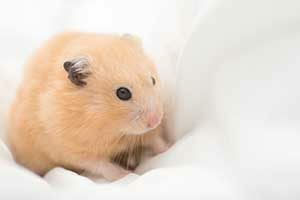 Owning an exotic or small pet means understanding that pet’s particular needs and requirements. Because we can temperature control our homes and add extra heat, humidity and other necessities as-needed for our pet’s habitats, we are able to keep pets from tropical locations even in a winter wonderland. Just make sure that you have back-up heating options, should the power or heat go out in your home, to provide safe temperatures for you, your family and your pets who depend on you for their nurturing and care. One of the most important things to provide exotic or pocket pets in Fall River and the surrounding South Coast area, is temperature control. Little animals and animals that come from different parts of the world, have different heating and cooling requirements than other domesticated pets. In the summer, you might have to provide cooling to stay within a certain temperature range for some pets, while in the winter, you will have to provide heating to stay within the safe temperature range for other pets. If pets are exposed to cold temperatures for too long in the winter, they could have issues with their immune systems, digestion and metabolism, which could lead to sickness and/or death. Birds, hamsters, reptiles, gerbils, mice, rats and Guinea pig care and feeding should be thoroughly researched before adopting a pet with such restricted needs. Massachusetts weather is much different from the temperatures and conditions experienced by most of these pets in their natural habitats. While many will be adopted from local pet stores, that doesn’t mean that they don’t still have the needs and requirements that they would have if they still lived in the wild. Visit your local veterinarian for more winter tips for small pets and exotic animals, as well as regular check-ups to ensure that they are healthy and strong. In case of an emergency, working with a trusted vet like Anchor Animal Hospital can be beneficial, providing you with a reliable vet hospital to take your pet to if needed. Make sure to keep some emergency water supplies for your pets, just as you would for yourself and your family, in the case of storms or bad weather where fresh water might not be available from the tap. Make sure to stay on top of hydration for large and pocket pets in Fall River, to ensure that they are getting an adequate water intake each day. Extra calories will be required to help your pet say warm. In some cases an extra scoop of food can be helpful, but for some animals, low temperatures can mean a decreased appetite. Try offering favorite treats and other foods to encourage eating, to ensure proper nutrition. If you notice your pet is not taking food or water as he or she should, bring them to your local vet for care. Regardless of the type of pet you have, make sure to take some basic safety precautions that will help you to keep your pet calm and healthy during inclement weather. Power outages can be scary for some exotic pets, particularly birds, so keeping a flashlight or lantern near the cage can be helpful. Just being able to see around the room can help calm a nervous bird. Due to temperature issues, especially during the colder months, some of the best winter tips for small pets, exotic animals and even vet care for cats and dogs or other popular domesticated pets, includes having a back-up heat source, should the power go out. Heating lamps and pads, as well as small heaters for ambient room temperature, can be powered with small power sources for several hours. If power outages are frequent in your area, consider getting a generator for the safety of your pets and your family during the winter. Winter weather means dry conditions indoors, which can be a real problem for some pets. You might not think about humidity when considering Guinea pig care and feeding, but many exotic and pocket pets in Fall River will have issues with dryness. A humidifier can be helpful to regulate the air for some pets, while others will need a misting system or other in-tank type system to ensure proper humidity levels. For pets that require specific humidity ranges, such as reptiles and amphibians, humidity gauges should be used alongside temperature gauges and checked throughout the day. To make sure that your pets are safe and healthy before winter really kicks in this year, contact Anchor Animal Hospital in Dartmouth to set up an appointment for a pre-season check-up. We provide a wide range of veterinary services, including vet care for cats and dogs, Guinea pig care and feeding tips, as well as care for exotic and pocket pets. Give us a call at 508-996-3731 to schedule an appointment or to learn more about our clinic.